Hi y'all. I can't say about anyone else, but things change with my situation, and I quit visiting the site. I do miss the people and dogs. I will try to drop in more often. The old computer died, and I am just now getting this one loaded with all my stuff. 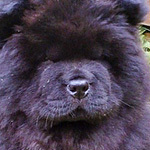 Yes Clover there is a santa claus...wait, i mean a chow breeder here in MA. 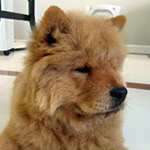 If you decide to add another Chow anytime in the future contact me directly and we can discuss the breeder. Both Rory and Amber are from them. There were a few reasons I disappeared. It is hard to keep seeing the same old questions asked a million times by newbies....and yes I asked them all when I joined it began to bore me....but what bored me far far more was the extreme opinions of people trying to help/get their voice heard. 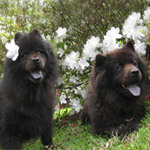 For me it is always about the chows here on this forum. I have no interest in how wonderful the few who push their voice louder and more strident than anyone else are. It makes me not want to post at all. For me if there is one voice of wisdom above all others here it is Victory and she is never strident. Advice should ask questions so it understands and gently offer experience and solutions. We will never agree in what we all think but respect and caring is what I like to see. So when the "look at me" brigade get going I disappear as it makes me feel uncomfortable. 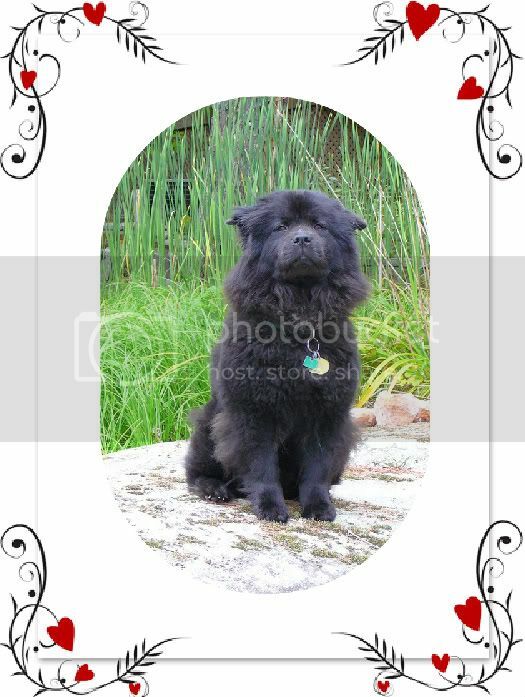 I also found fb was more about people and I suppose to some extent I had passed the point of needing much advice so progressed to a place where it was less about chows and more about owners..... But having said that I am on a break from fb and here I am like a bad penny as they say. Siriol, I have always enjoyed reading your posts and stories about your girls. I will second your opinion on Victory's advice and would add Rory's Dad and Ursa's dad to the same category. Thank you for the support Cocoa, but i will admit to becoming overly emotional in my posts and opinions at times. Working on it, and trying to avoid conflict, but it really does come from my love for the breed and my convictions on how best to further ours Chows. I do still come across posts that i disagree with, but i am trying to censor myself as it really is better for all of us. Hello everybody! I have not been on much lately - just once in a blue moon. I have not been well as I have Rheumatoid Arthritis and it has been particularly bad. I manage to get around and take my girlies for their walks but my hands and feet get so very sore I just feel unable to start typing when I have completed my chores. Maybe I should log on before I do anything else - a fresh cup of tea after breakfast and log on before I get dressed. Anyway nice to read about everybody. I do actually log in sometimes and read what is going on. Hi everyone! Esp to Rory's Dad. Couldn't agree more with everyone's post here. Happy to have a site like this one. Auddymay wrote: I have been away for a bit working on some big changes in my life and frankly, I needed a bit of a break from the site. People come and go, and sometimes they come back. In fact, I have seen some folks come back that left in a huff, swearing it would be a cold day in Hades before they returned. I put it down to global warming effecting all realms...Welcome back to any returnees. I remember a few posting here. I haven't been here since 2009 I think. CC.org was too addictive and I didn't get anything done. I remember all fondly. I have looked at some Facebook chow groups but don't really bother with them. It's CC.org I spent a lot of time on. This past 1.5 year included many personal changes for us - mainly, me with my father's passing and needing to step up to helping Mom with everything. For the past four years, I got deeply involved with a local non-profit cat & dog animal rescue (like Board member president & managing their website) so I have not been on cc.org for a lot of the time. I would "lurk" when I had time but there wasn't a lot of that happening. With our Chow Chow Fest coming up in a couple of months, I have been trying to catch up as the Chow Chow fever starts to rise. As I had mentioned in another previous post about Shiloh, I feel apprehensive about how much time I have left with them. I really want many, many more years with them and pray that we do. Some people & Chows we have connected via FaceBook but even that has been limited. Hoping to have more time to be more of a regular on cc.org. Hello! 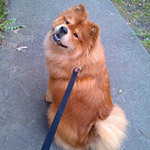 New chow owner and looking for help with donations or at least sharing the link to help my chow get surgery on her hip. Appreciate it and thank you! Good luck to you and all your chow babies! Me & Tess wrote: Some of us do move on. Especially when our Chows cross the Rainbow Bridge. 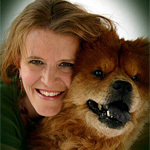 When Tess passed and when I told her story it was hard for me to post on anyone's site when their Chow passed. I feel Carton déménagement standard bad and want to apologized. It is easier now for me to post. At times I still have tears when I remember her. Life moves on. There are the old, there are the new. We have our stories to tell, eventually.